The League/Guild of the Venerable Mother Mary Theresa Dudzik, under the coordination of Sister Mary Venantia Rec, was formed in 1962 to promoted the Beatification Cause of Mother Mary Theresa. Membership in the League/Guild helps the Beatification Cause. Members are remembered daily in the prayers of the Franciscan Sisters of Chicago. At the bottom of your check please note "2018 Dues" and use the enclosed self-addressed envelope to reutrn your check and renewal slip to us. A membership card and receipt will be mailed to you promptly upon receipt of your dues payment. No second notices will be sent, so please take a moment now to write your check. Deadline for Payment is Friday, March 17, 2018. Call 630-243-3556 for More Information. The montly Mass for the Beatification Cause continues to be held in the Sacred Heart of Jesus Chapel at Our Lady of Victory Motherhouse in Lemont, at 9:00 a.m. on the third Saturday of each month. We encourage you to join us but if you can't be with us, we ask that you take part spiritually by reciting the Novena prayer privately from the 12th through the 20th of the month. at St. Stanislaus Kostka Parish at 5PM. The Sanctuary of the Divine Mercy, 1351 W. Evergreen, Chicago IL. Mother Mary Theresa Dudzik's intercession has been sought now more than ever as witnessed through the increased number of pictures of loved ones and petitions at her sarcophagus. There are also some new faces at the Novena Mass each month. Our hope is that the numbers will continue to increase to perpetuate the Cause for her Beatification. 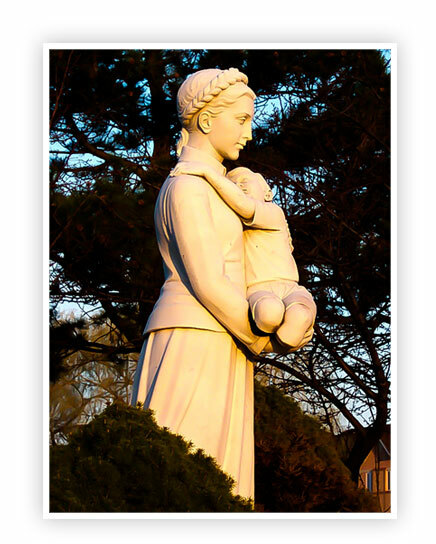 Please continue to keep Mother Mary Theresa's Cause in your prayers and encourage others to do the same and introduce them to Mother Mary Theresa Dudzik. Her spirit and Charism are very much needed at this time in our world.